Keep your private life safe with Bear Lock app. Secure your data, like your photos, emails, text messages and sensitive work content... or anything else you have on your phone or tablet. Don’t let your friends and family sneak into your apps and safely lend your device to kids. Forget about privacy issues, from now on, you are protected by a bear! Set up a 4 digit code & pick the most sensitive apps you wish to protect. 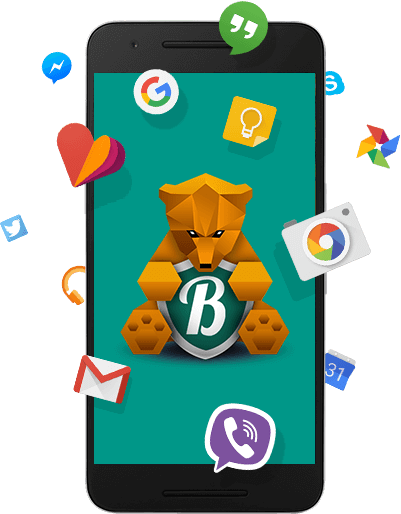 (Facebook, WhatsApp…) Our bear will look after those apps & keep them as safe as his best pot of honey! No one can access those apps except you. Bear Lock has a secure recovery mode, in case you forget your 4 digit code. Our unique method will prevent others to try to change your Bear Lock code and take control of your device. Nobody can fool your Bear!